Dr. Mathew Sinu Simon is a Research Analyst in the Internal Security Centre at IDSA. His expertise lies in International Organizations, European Union Studies, Politics of Diaspora and Development, Hinterland Terrorism, Internal Security, Study of Maoist outfits and their operations. 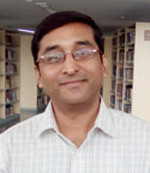 He completed his PhD at the University of Hyderabad where he wrote histhesis on India-European Union relations.He has done his MPhil on “Indian expatriates and problems of migration: A Case study of Kerala Emigrant Associations in the city of Dubai, United Arab Emirates”. He has a Master’s Degree in Political Science from theUniversity of Hyderabad, Telangana. He was associated with the Ministry of Home Affairs (MHA) on a project on the front organizations of CPI (Maoist). He has written for several online magazines on different issues of security and counter terrorism. Prior to joining IDSA, he was a legislative assistant to a parliamentarian.